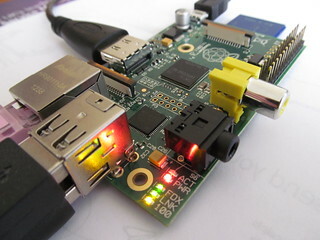 The Raspberry Pi is a quintessentially British invention. It was originally created because the University of Cambridge Computing Department felt that new students hadn’t a high enough level of programming experience when they began their studies. So a cheap, accessible machine was designed, using off-the-shelf components and plugging into available devices such as USB keyboards, SD cards and TVs. Like the webcam, another Computing Department invention (it was trained on the filter coffee machine at the other end of the building to avoid wasted journeys if the jug was empty), it combines technology with quirkiness and the British love of tinkering. From these humble beginnings over 3 million have now been sold. To put this in context it is double the number of sales of the BBC Micro, the original government-backed home computer of the 1980s, and not far off the 5 million Sinclair ZX Spectrum machines that spawned a generation of programmers back then. It has even been shown to the Queen at Buckingham Palace, with founder Eben Upton ticked off by the Duke of Edinburgh for not wearing a tie. However, the impact of the Pi has gone far beyond sales figures. It has created an ecosystem that spans everything from desktop arcade machines to funky cases. It is also being used within a whole range of other projects, from weather balloons to creating a pirate radio station. You can even run Spectrum games on it, linking back to the 1980s. And all of this from a non-profit company, that is now manufacturing in the UK. And I’d argue that it has actually had a major hand in putting programming back at the heart of UK education. From September all primary school pupils will be taught programming, as opposed to how to use word processing applications. This will introduce a whole new generation to writing their own programs. Even if just 5% go on to forge a career in technology, it will deliver a vast new workforce to the sector in the UK – as well as giving the other 95% some basic skills that will help them thrive in a world run by software. The availability of the Pi means it will be central to delivering these lessons, and the community has already created a huge volume of materials for teachers. Once lessons start I’d expect many more parents to invest in a Pi (either driven by pester power or because they want to help their children succeed) – and at 20 quid for the most basic version it is within the majority of families’ budgets, at less than the price of a new PlayStation or Xbox game. So I’d argue that the Pi’s rise to prominence hasn’t even really started yet. The combination of its community support, simplicity and the growth of programming means it will go from strength to strength. If you’ll excuse the pun, the Pi really is the limit…………..
I’m a passionate believer in getting more people to learn to code. 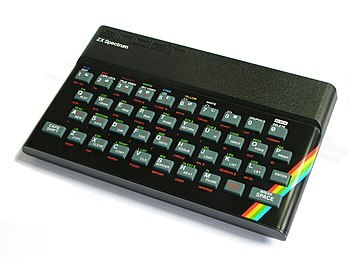 Like a lot of those my age I grew up with a ZX Spectrum and learned basic programming on a BBC Computer at school. Not only did it reap benefits then (my horse racing game was a triumph, albeit not a financial one), but it gave me an idea of how computers worked that removed any fear of them when I went into the workplace. And, as my career in PR has progressed, more and more of what I do has a technical element to it – whether that is getting a WordPress site up and running or stitching together data from different tools to measure the impact of campaigns. Not understanding technology or being unable to use it would significantly impact my productivity and my overall job prospects. When I look back, comparing my childhood to now, the world has changed dramatically. On the plus side we’re now in an era where geekiness is cool and entrepreneurs are celebrated for their ideas. But the opportunities we have to code have been lessened – rather than ZX Spectrums we have gaming consoles that cannot be programmed, except by studios with multi-million pound budgets. Yes, we have the iOS and Android ecosystems where anyone can create an app, but the majority of us are consumers, not programmers. Clearly there’s a need for change, and initiatives such as the Raspberry Pi and the inclusion of coding in the National Curriculum from September are helping accelerate this. However the fiasco that is the government-backed Year of Code project is an unwelcome bump in the road to the future. For those that haven’t heard of it, the Year of Code is supposed to be an umbrella organisation to encourage everyone to learn to code in 2014. Unfortunately so far it appears to be a PR-led initiative to muscle in on the work that is already being done. Backed by venture capitalists, and the TechCity community, its main claim to fame is the ill-fated appearance of its executive director Lottie Dexter on Newsnight, where she earned the ire of Jeremy Paxman by admitting that she didn’t actually know how to code. More importantly it appears to have alienated many people who have been working in the space for years by simply not recognising what has already been done. And, judging by its website, apart from a promotional film (warning – contains footage of George Osborne) and a commitment to “banging the drum for all the fantastic coding initiatives taking place over the course of year and helping many more people engage with technology and access important training opportunities,” it isn’t actually going to do much that is concrete. Essentially it is PR spin on a serious subject, trying to take the lead in the same way as the government has decreed that TechCity is the only viable tech cluster in the UK. It is jumping on a bandwagon and trying to take the reins from those that know what they are doing. Coding is essential to our competiveness and the future of our children – it is simply too important to be left to a slick marketing machine that is imposed from the top down. Time for the Year of Code to be switched off and then on again to remove the bugs from the system. The return of the BBC Micro? This week BBC director general Tony Hall launched a slew of initiatives designed to reposition the beleaguered broadcaster. The aim is to show that the BBC is central to meeting the needs of consumers now and in the future, and to draw a line under an annus horribilis for the corporation, which has been plagued by scandals from Jimmy Savile to excessive payoffs for senior managers. Amongst the news of a BBC One + 1 channel (by my maths that’s BBC Two), and expansion of iPlayer, one thing that caught my eye was a pledge to “bring coding into every home, business and school in the UK”. As someone who grew up in the 1980s it made me misty-eyed with nostalgia for the last time the BBC got involved in technology, with the original BBC Micro. Essentially the BBC put up the money for the machine to be given to every school in the UK, as well as producing TV programmes and courses on coding. While I never had a BBC (I was a Sinclair Spectrum diehard), we used them in at school and it did help me learn to code. It really was a golden age for UK computing, as it introduced a generation to computers they could play games on, but equally program and learn with. Programming your own creations was a viable alternative to just treating these machines as games consoles – particularly as a Spectrum game took about 10 minutes to load (and often mysteriously crashed just before it should have started). I was incredibly proud of my amazing horse racing game (complete with betting and flickering graphics), even if my programming days are now long behind me. Not only did the BBC/Spectrum age produce a generation that wasn’t afraid of coding, but it also helped shape the UK IT industry. 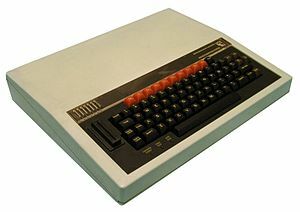 Acorn, the makers of the BBC Micro, spawned ARM, now a world leader in chip design, while countless games companies developed from bedrooms into multi-million pound concerns. You could easily argue that Cambridge wouldn’t be the technology powerhouse it is today if it wasn’t for the BBC. But then IT became marginalised as a school subject – essentially replaced with learning to use desktop applications rather than program. In a global economy where companies compete on knowledge, the need to rekindle that interest in coding has never been greater. 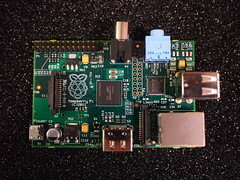 The BBC is not the first to understand this – the Cambridge-designed Raspberry Pi has become a global phenomenon as it brings back the spirit of adventure and exploration to children weaned on iPads and Wiis. There’s also a new computer science curriculum for schools and coding courses are becoming increasingly popular across the UK. So where does the BBC fit into this? There’s a lot of hyperbole in the announcement about “using world class TV, radio and online services to stimulate a national conversation about digital creativity”, but very little detail. The challenge for the BBC is to pitch whatever it offers in a way that doesn’t replicate what is being done in the private sector and doesn’t dumb down coding to a simple point and click level. As seen in the 1980s, the backing of the BBC can be a major force for good, but it could equally stifle the innovation and creativity that it is trying to encourage. The jury’s out, but I hope it can turn the undoubted niche success of the coding revival into a mainstream movement – working with the industry to create the Acorns and ARMs of tomorrow. In the past design has often been the poor relation when companies are creating innovative new products. At best it has been something that is done at the last minute and treated as packaging, and at worst seen as unimportant. After all the product is so amazing it doesn’t matter what it looks like or if the build quality is poor – people will buy it anyway. I’ve seen this attitude a lot in Cambridge, which makes this month’s Design Icons exhibition an extremely welcome demonstration of the power of good product design in the city. Held at the Ruskin Gallery, Anglia Ruskin University until February 23rd it showcases 20 key products that have been designed in the area. Ranging from obvious high tech examples such as the Sinclair ZX Spectrum computer to much more consumer focused products from international companies, including the Evian action water bottle and Sureflap catflap they show how intelligent product design can help differentiate innovative products in the market. I’ll leave it to others to work out if they all deserve to be called icons, but what struck me is how these designs had stood the test of time. 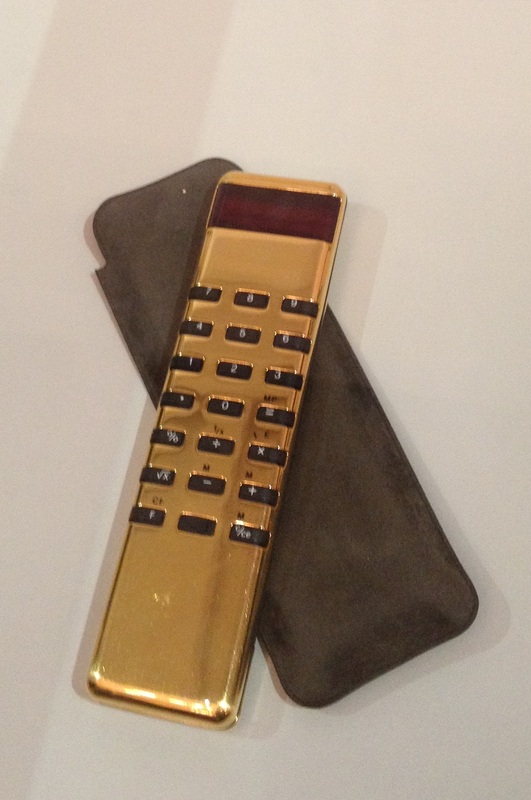 Take the gold Sinclair calculator or Lecson amplifier. Despite being designed nearly 40 years ago, with minimal reworking they would still cause a stir now. Paint the Lecson white and replace the dials with a screen and you’ve got an Apple amplifier. Obviously the exhibition and surrounding events have got a serious purpose – to show what Cambridge design can do for products of all types and to encourage companies in Cambridge and beyond to embrace good product design. The aim should be to continue this education, so it would be good to see ways of keeping momentum going beyond the timescale of the exhibition. At the very least creating guides to how product design can deliver benefits, how to work with designers and when to involve them would provide a starting point for companies, particularly those that haven’t used product designers before. To find out more on the exhibition go to http://www.camdesignicons.co.uk/ and pop along to Anglia Ruskin to see the products for yourself. Good design is at the heart of successful products – just look at devices such as the iPad and iPhone. And when I say design it isn’t just whether it looks pretty or cool but something that delivers a good user experience – essentially creating a product that is simple and intuitive and delights the customer every time he or she uses it. Not an easy thing to do, but get it (and pricing) right and you have a timeless classic. A new event aims to showcase some of these classics that have been designed in Cambridge and had an impact across the world. Design Icons: Cambridge Innovation Festival will celebrate the design talent in the area by highlighting some of the key products of the last 40 years. The range of products is incredible, stretching from the well-known, such as the Sinclair ZX Spectrum and BBC Micro computer to those with less obvious Cambridge connections such as the Dulux PaintPod and the Proprio prosthetic foot. The event, organised by Creative Front Cambridgeshire and backed by the Design Council, will take place throughout February 2012 combining a high profile exhibition and design-related events across the city. 90 products have been nominated, but only 20 will make it to the exhibition. 19 will be chosen by a panel of industry experts with the public having the chance to have their say and nominate the People’s Choice. Voting runs until 31st December 2011 so log on now to www.camdesignicons.co.uk and make your selection. 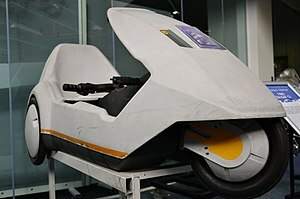 My money is on the sleek, elegant and completely impractical Sinclair C5 electric vehicle….